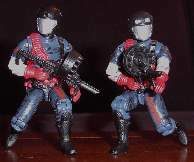 I started doing customs because of the pitiful amount of Joe releases in Canada since 2000, which has sadly continued until present (Only New Sculpt Wave 1 has been released here...and a pitiful amount of Wave 5 SpyTroops). Anyways, here are a few of my other custom projects that I've done, some using my custom parts, some not. My custom Night-Viper force. 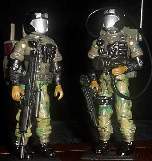 From Left: Scout-Vipers(Recce), Tele-Viper(Night Ops), Night-Vipers, Night-Viper Officer, Nightscope-Viper(Sniper). 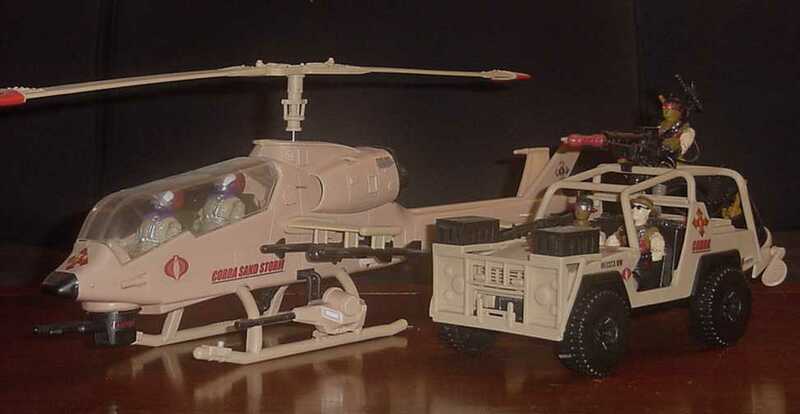 The vehicle, the Cobra Night Ranger, is a 2000 A.W.E. Striker with custom-made decals. Flying Close Air Support for the Night Vipers is the Cobra Nightstorm Gunship, a repainted Locust with custom-made decals. The crew is two Funskool Streethawks. Stemming from my dissatisfaction with the 2000 Rock-Viper I created the Storm-Viper heavy infantry troops, using my black head casting. My Viper Vanguard troops in tactical woodland pattern camouflage. A Viper in Winter Gear. A super simple custom using a Big Ben body with a lightly painted and scuffed natural casting. 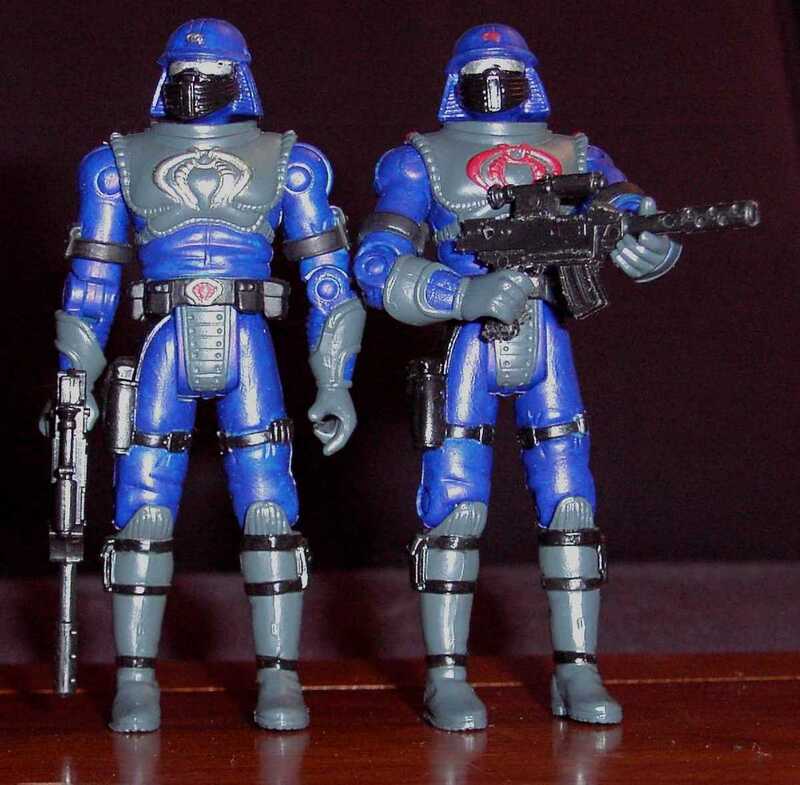 Cobra Desert Strike team. Customised Locust and Desert Striker with home-made stickers. Funskool Desert Scorpions repainted and customised. I really like the paint scheme I gave these guys.